In 1996 the Parakai Aviation shareholders, Des Grant and Peter Clulow, and Brian Baudinet, a director of Air Rarotonga, formed a new company, Island Air Ltd to purchase and operate a brand new Cessna 208B Grand Caravan, primarily on the Auckland-Great Barrier Island route. Rather than operate the service under the Parakai Aviation banner, it was decided a more corporate identity was needed that would attract passenger and would allow for future expansion. 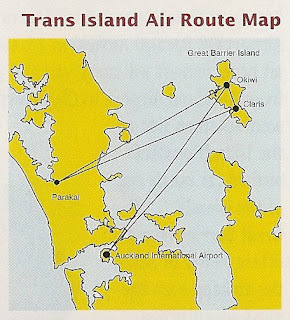 On the 29th of November 1996 Trans Island Air launched a twice daily scheduled service from Auckland International to Great Barrier Island’s Claris and Okiwi airfields using New Zealand’s first Cessna 208B Grand Caravan ZK-VAN (c/n 208B-0561) and Partenavia P68B ZK-PFT (c/n 42). The company's first schedule also showed a Friday and Sunday evening Parakai-Great Barrier Island return service as had been operated by Parakai Aviation the previous summer. The link to Parakai was subsequently dropped leaving the twice daily return flights from Auckland. With the aircraft being worth some $ 2 million dollars this was, at the time, the largest investment made on an aircraft to service Great Barrier Island. The Grand Caravan was configured to operate with two pilots and with seating for 12 passengers, with each of these having a baggage allowance of 20 kgs – the current operators allow 15 kgs! With such a sizeable investment, however, the company needed other work for the aircraft. It was envisaged that 35-40% of its utilisation would arise from the Great Barrier run, 50% from carrying courier or other freight work throughout in New Zealand, with the remaining 10-15% coming from parachuting at Parakai. 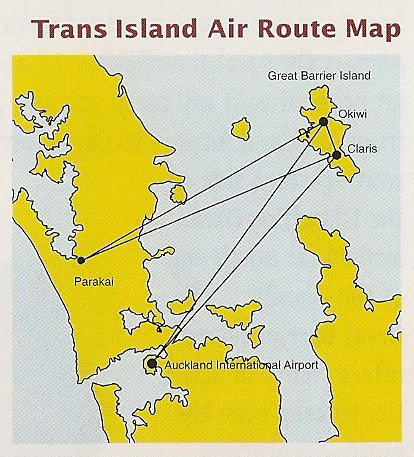 1997 saw a dog fight on the Auckland-Claris route with fierce competition for Trans Island Air coming from Great Barrier Airlines and Northern Air. 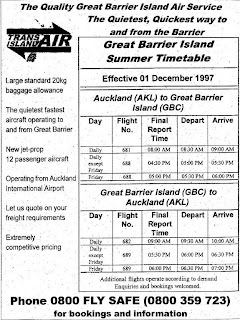 In early 1998, Mark Roberts, general manager of Great Barrier Airlines, summed up the 1996-1997 air war in the Barrier Bulletin when he said, "Increased competition led to a price war among the airlines benefiting passengers but leaving companies with little or no profit. It also led to a misguided perception in the general public's eyes that lower fares meant previously they had been charged too much. Increased competition did force us to bring our airfares down but the result is that we have made no profit for the past two years." The Caravan impressed Great Barrier Islanders with its comparative luxury and its quietness. 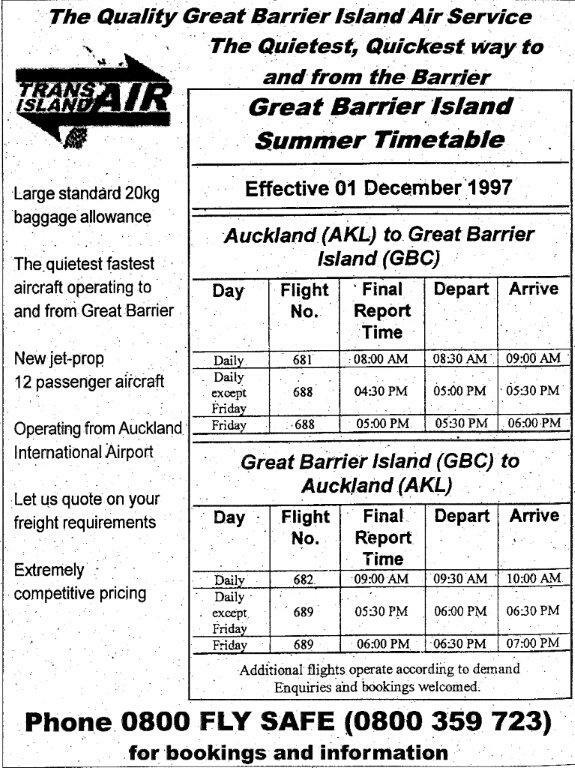 In September 1997 the Barrier Bulletin reported that the airline had built quite a reputation with passengers for its professionalism and excellent service - and with island residents for its cut-price airfares offered to them during off-peak times. 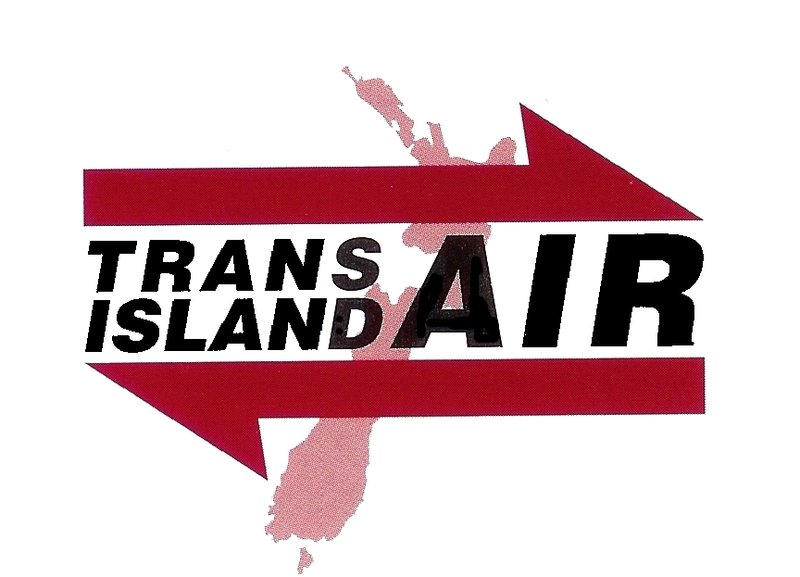 Despite the accolades all was not well and on the 17th of December 1997 Trans Island Air announced the service was ending. Company officials said it was not financially viable for the company to continue, citing tough competition with three companies operating on the route and a lack of success in obtaining regular contracts for night courier and cargo runs. Without the necessary aircraft utilisation necessary the service was unable to continue. Trans Island Air reached a commercial agreement with Great Barrier Airlines for it to honour all outstanding bookings and tickets, part of that agreement being that Trans Island Air would continue to operate the Cessna Grand Caravan for Great Barrier Airlines until the 20th of January 1998. The Caravan was subsequently exported and the Partenavia sold. Air Discovery - Is it all over?